This is my best coop yet. 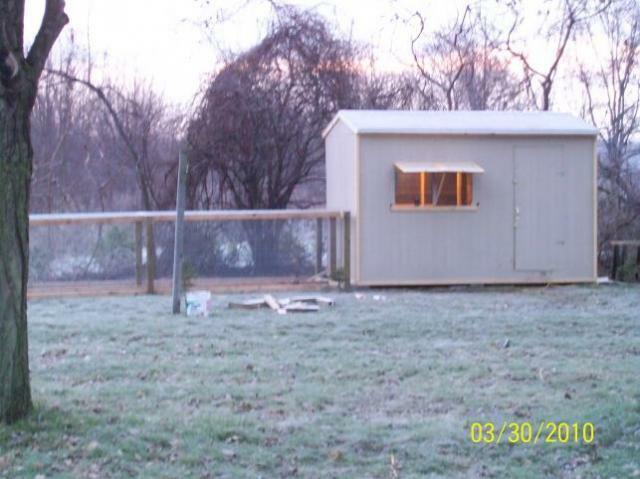 It was a rip-off of a similar coop built by someone here on byc. We have it split into 2 identical halves cause when we built it we had 2 separate flocks that didn't like to mingle together. now it has a broody side and flock side. After my chicks all grow up, I will have a bantam side and a standard side...or I may need to split accroding to personality as I have a few larger hens who are bullies sometimes. 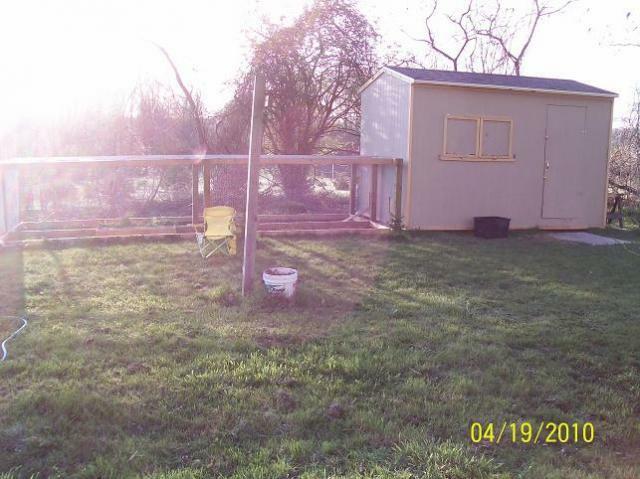 My DH did a lot of wonderful things in this coop, after seeing how the chickens and I like things, the 3rd coop built is the best. The ventilation is far superior to the other coop i've had. It won't be as warm in the winter, but it will be easy to heat on super cold days if need be. It took us a few weekends to finish this one, but it is insulated, has electric run to it and easier to clean. The work is almost never done cause we always see improvements to be made, even if it's small things. We also built a few covered grass boxes in the runs so they could have grass to eat. We are gonna expand the runs when we can afford to get more materials. I still need to get inside photos, the ones I got didn't come out good. Wish there were more photos of the inside.